AFC Wimbledon win 4-2 on penalties. Crawley Town win 5-3 on penalties. 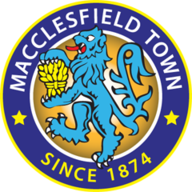 Macclesfield Town win 5-3 on penalties. Milton Keynes Dons win 6-5 on penalties. Scunthorpe United win 4-2 on penalties. Sunderland win 4-2 on penalties. Exeter City win 4-3 on penalties. Match ends, Macclesfield Town 3(5), Blackpool 3(3). Penalty Shootout ends, Macclesfield Town 3(5), Blackpool 3(3). Goal! Macclesfield Town 3(5), Blackpool 3(3). Michael Rose (Macclesfield Town) converts the penalty with a right footed shot to the bottom right corner. Penalty saved! Marc Bola (Blackpool) fails to capitalise on this great opportunity, right footed shot saved in the bottom right corner. Goal! Macclesfield Town 3(4), Blackpool 3(3). Harry Smith (Macclesfield Town) converts the penalty with a right footed shot to the bottom right corner. Goal! Macclesfield Town 3(3), Blackpool 3(3). Ben Heneghan (Blackpool) converts the penalty with a right footed shot to the bottom right corner. Goal! 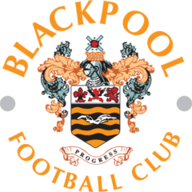 Macclesfield Town 3(3), Blackpool 3(2). David Fitzpatrick (Macclesfield Town) converts the penalty with a left footed shot to the bottom right corner. Goal! Macclesfield Town 3(2), Blackpool 3(2). Chris Taylor (Blackpool) converts the penalty with a right footed shot to the bottom left corner. Goal! Macclesfield Town 3(2), Blackpool 3(1). Harry Smith (Macclesfield Town) converts the penalty with a right footed shot to the bottom right corner. Goal! Macclesfield Town 3(1), Blackpool 3(1). Harry Pritchard (Blackpool) converts the penalty with a left footed shot to the top right corner. Goal! Macclesfield Town 3(1), Blackpool 3. Danny Whitaker (Macclesfield Town) converts the penalty with a right footed shot to the bottom right corner. Penalty Shootout begins Macclesfield Town 3, Blackpool 3. Second Half ends, Macclesfield Town 3, Blackpool 3. Corner, Blackpool. Conceded by David Fitzpatrick. Goal! Macclesfield Town 3, Blackpool 3. Paudie O'Connor (Blackpool) header from very close range to the top left corner. Assisted by Harry Pritchard with a cross following a corner. Attempt blocked. Armand Gnanduillet (Blackpool) right footed shot from the right side of the box is blocked. Danny Whitaker (Macclesfield Town) is shown the yellow card for a bad foul. Foul by Danny Whitaker (Macclesfield Town). John O'Sullivan (Blackpool) wins a free kick in the defensive half. Goal! Macclesfield Town 3, Blackpool 2. John O'Sullivan (Blackpool) right footed shot from very close range to the centre of the goal. Assisted by Ben Heneghan with a headed pass following a corner. Corner, Blackpool. Conceded by Jamie Grimes. Oliver Turton (Blackpool) is shown the yellow card for a bad foul. Michael Rose (Macclesfield Town) wins a free kick in the defensive half. Attempt missed. Chris Taylor (Blackpool) right footed shot from outside the box is close, but misses to the right. Attempt saved. Armand Gnanduillet (Blackpool) right footed shot from outside the box is saved in the bottom left corner. Substitution, Macclesfield Town. Callum Evans replaces Peter Vincenti. Goal! Macclesfield Town 3, Blackpool 1. Michael Rose (Macclesfield Town) converts the penalty with a right footed shot to the bottom left corner. Penalty Macclesfield Town. Scott Wilson draws a foul in the penalty area. Penalty conceded by Ben Heneghan (Blackpool) after a foul in the penalty area. Substitution, Blackpool. Oliver Turton replaces Callum Guy. Finlay Sinclair-Smith (Blackpool) wins a free kick in the defensive half. Attempt missed. Armand Gnanduillet (Blackpool) header from the centre of the box is close, but misses to the right following a corner. Corner, Blackpool. Conceded by Rhys Taylor. Attempt saved. Finlay Sinclair-Smith (Blackpool) right footed shot from the centre of the box is saved in the top left corner. Foul by Peter Vincenti (Macclesfield Town). Delay in match Peter Vincenti (Macclesfield Town) because of an injury. Substitution, Macclesfield Town. Harry Smith replaces Nathan Blissett. Substitution, Blackpool. Finlay Sinclair-Smith replaces Liam Feeney. Attempt missed. Callum Guy (Blackpool) header from the left side of the box misses to the left. Attempt missed. Liam Feeney (Blackpool) right footed shot from the right side of the box is close, but misses to the left. Corner, Macclesfield Town. Conceded by Ben Heneghan. Corner, Blackpool. Conceded by Scott Wilson. Foul by Nathan Blissett (Macclesfield Town). Callum Guy (Blackpool) wins a free kick in the defensive half. Substitution, Macclesfield Town. Scott Wilson replaces Malachi Napa because of an injury. James Pearson (Macclesfield Town) wins a free kick in the attacking half. Corner, Macclesfield Town. Conceded by Paudie O'Connor. Attempt blocked. Peter Vincenti (Macclesfield Town) right footed shot from outside the box is blocked. Corner, Blackpool. Conceded by Peter Vincenti. Attempt missed. Harry Pritchard (Blackpool) left footed shot from the left side of the box is close, but misses to the right. Chris Taylor (Blackpool) wins a free kick in the defensive half. Attempt missed. Harry Pritchard (Blackpool) left footed shot from outside the box is just a bit too high. Miles Welch-Hayes (Macclesfield Town) wins a free kick in the attacking half. Second Half begins Macclesfield Town 2, Blackpool 1. Substitution, Blackpool. Michael Nottingham replaces Ryan McLaughlin. First Half ends, Macclesfield Town 2, Blackpool 1. Attempt missed. Harry Pritchard (Blackpool) header from the centre of the box is just a bit too high. Attempt missed. Marc Bola (Blackpool) left footed shot from outside the box is too high. Attempt missed. Ben Heneghan (Blackpool) header from the centre of the box is just a bit too high following a set piece situation. Foul by Malachi Napa (Macclesfield Town). Ryan McLaughlin (Blackpool) wins a free kick in the defensive half. Attempt missed. Malachi Napa (Macclesfield Town) right footed shot from the centre of the box is just a bit too high. Attempt missed. Armand Gnanduillet (Blackpool) header from the centre of the box misses to the right following a corner. Liam Feeney (Blackpool) wins a free kick in the defensive half. Goal! Macclesfield Town 2, Blackpool 1. Michael Rose (Macclesfield Town) left footed shot from outside the box to the centre of the goal. Assisted by James Pearson. Goal! Macclesfield Town 1, Blackpool 1. Callum Guy (Blackpool) right footed shot from outside the box to the bottom right corner. Assisted by Harry Pritchard. Attempt saved. Miles Welch-Hayes (Macclesfield Town) right footed shot from outside the box is saved in the bottom right corner. Attempt blocked. Miles Welch-Hayes (Macclesfield Town) left footed shot from outside the box is blocked. Attempt missed. Armand Gnanduillet (Blackpool) header from the centre of the box is close, but misses to the right. Attempt missed. Armand Gnanduillet (Blackpool) left footed shot from outside the box misses to the left. Corner, Macclesfield Town. Conceded by Marc Bola. Goal! Macclesfield Town 1, Blackpool 0. Nathan Blissett (Macclesfield Town) right footed shot from the centre of the box to the bottom left corner. Assisted by Malachi Napa with a cross. Malachi Napa (Macclesfield Town) wins a free kick in the defensive half.